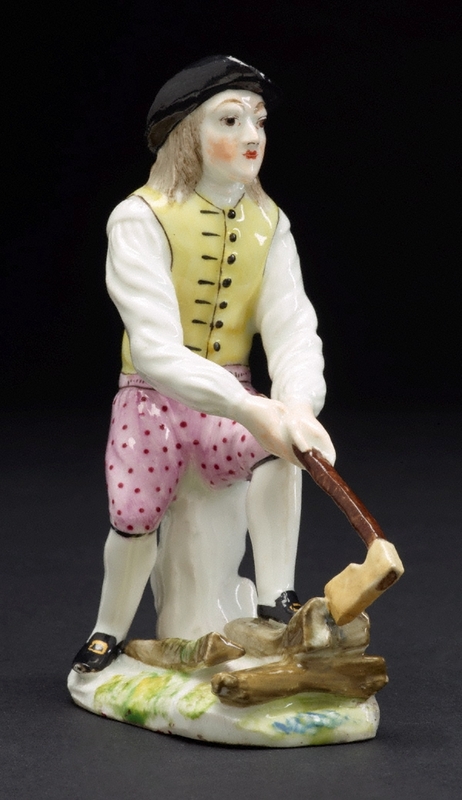 The figure was originally issued with a pair showing a seated man sawing timber. 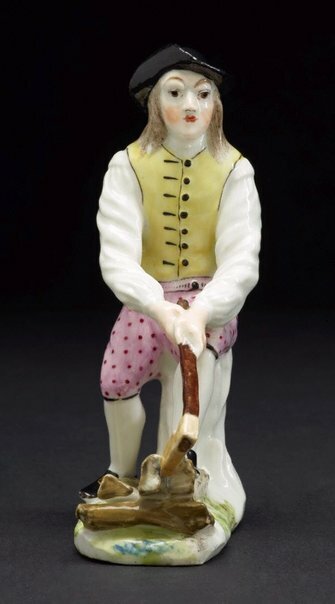 Both were copied from Meissen figures modelled by Kändler in 1745. Bow porcelain figures seldom depict artisans. These figures belong to the same tradition as Meissen’s Paris street criers, some of which were also copied at Bow.